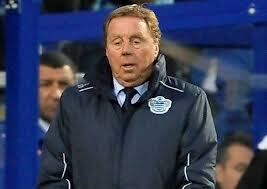 QPR manager Harry Redknapp can expect a difficult encounter with Wigan Athletic in the playoffs. Barring major surprises, Wigan Athletic will host Queens Park Rangers on Friday, May 9th in the Championship playoffs. The return match at Loftus Road will take place the following Monday, May 12th. Both games will start at 7:45 pm. Latics need only one win from their final three leagues matches to make certain of their playoff place. QPR are six points ahead of Wigan and are likely to finish in fourth place. Reading are three points behind, but Latics have a game in hand over the Royals and a superior goal difference. Derby are five points ahead of QPR with a far superior goal difference. They will surely pick up one point from their last two games to guarantee a third place position where they will be up against the sixth placed team, which could be one of a handful of clubs. The past months have been a rollercoaster ride for Wigan Athletic. Since Uwe Rosler’s first game in charge away to Maribor on December 12th until the last one at Burnley, Latics played 31 matches in 129 days. During that time they lost a Europa League game and won four and drew two in the FA Cup, losing to a penalty shoot-out. In the league their record has been W13 D6 L5, giving them 45 points from 24 played, very close to Rosler’s often stated target of an average of two points per game. Latics had suffered five consecutive defeats before Rosler’s arrival and his team has played more games since then than any other team in the four divisions. To get so close to another FA Cup Final and to be sitting in a healthy position in the playoff zone of the Championship is a testament to the remarkable effect Rosler has had on the club. With so many matches coming up Rosler acted shrewdly in the January transfer window, offloading the misfiring Grant Holt to Aston Villa and Nouha Dicko to Wolves. In their place he brought in a handful of loan players plus another on a short term contract. He tried to transfer out the highly salaried Ivan Ramis, but neither Cardiff nor Crystal Palace were satisfied with his medical condition. Ramis has since been excellent in the centre of defence and a key player in Latics’ push for promotion. He has had further injury problems – currently out through a hamstring strain – but no recurrence of the knee injury that prevented his transfer. The loanees have clearly played a major role since their arrival, some more than others. At this stage it looks like only one will be staying – Martyn Waghorn who has since signed a long term contract. However, the loanees will continue to have a part to play as the regular season moves into the playoffs. Rosler will be keen to secure that playoff place on Saturday with a victory over a Blackpool side struggling against relegation. He would then be in a position to rest his key players before the playoffs start. The key triumvirate of Emmerson Boyce, James McArthur and James Perch looked jaded on Monday and Rosler needs them to be at their sharpest in the playoffs. Wigan’s recent form has been inconsistent over recent weeks, with the highs of beating such as Manchester City contrasting with the lows of losing at home to relegation candidates like Millwall. However, it is in the playoffs that they need to peak. Were Wigan to beat Blackpool this weekend and lose their remaining two league matches it would be of little consequence. Indeed we would probably see more than a little “rotation” for those games. Rosler will be keen to have all his key players firing on all cylinders during the playoffs. Nick Powell has been disappointing since his return from injury, but Rosler will surely continue to keep the Manchester United player in his plans. One moment of individual brilliance from him could be sufficient to win a vital playoff game. Media hype about the young man’s future cannot be helping, let alone the uncertainty of who will be in charge at Old Trafford next season. Powell remains young and his game lacks maturity, but he could play a key role in the playoffs. The promising return of Shaun Maloney from long-term injury and the improved form of Callum McManaman give Latics much room for optimism. Moreover Jordi Gomez has been playing the best football in his five years at the club. Latics might lack a regular goalscorer but they are strong in terms of having players with creative and attacking flair. James McClean has had a disappointing time over recent weeks, but could still make an impact in the playoffs. When he scored two opportunist goals at Ipswich he looked sharp and confident, but since then his finishing has so often disappointed. The Irishman is clearly a confidence player who needs a run of games before the end of the regular season. His pace can threaten any defence and he can never be faulted for effort. He is a rough diamond who Rosler needs to continue to work with. It could well be that playing on the wing is not ultimately his best position. With his pace, energy and tackling ability he could well develop into a holding midfield player or full back. The return of Roger Espinoza from a hernia operation is good news for Rosler. The German will have to ease the Honduran back in gradually, but he is the obvious partner for the admirable James McArthur in central midfield. Josh McEachran is a fine player, but has lacked fitness since his arrival and has not even been on the bench in the last two games. Rosler needs him fit for the playoffs. Rosler will be hoping that Ramis will be back to fitness for the playoffs. He has played particularly well alongside Boyce in the centre of defence. With the two together there is not only defensive solidity, but cultured passing from the back. The German might well go for a back line of three central defenders with Leon Barnett joining them. He also has Rob Kiernan available, who has done a good job so far, but lacks the experience of playing in the high pressure atmosphere the playoffs will generate. James Perch has become an automatic choice in Rosler’s lineups and deservedly so. Too often in his career he has had to play in a variety of positions, but under Rosler he has established himself as a right back or right wing back. Perch’s defensive work is excellent and his attacking has improved considerably over these months. Jean Beausejour is best employed as a wing back, but has also been employed as a full back and a winger under Rosler. He remains the best alternative on the left of defence. Rosler is blessed in the goalkeeping department with Ali Al-Habsi and Scott Carson competing for a place. Exciting young prospect Lee Nicholls will have to bide his time for the moment with those two capable and experienced ‘keepers ahead of him. The first step towards potential success in the playoffs is to beat Blackpool on Saturday. Rosler will surely field his strongest lineup. With the playoff place secured he can then rest his key players and focus on what promise to be two tricky games against a strong QPR side. Rosler has done so well up to this point. He has the players capable of taking Latics back to the Premier League and he has shown himself to be tactically astute. QPR will not relish the prospect of facing Wigan Athletic in a little over two weeks’ time. QPR beat Wigan at Loftus road and Drew with them at the DW, what makes you think we wont relish playing you….a decent show against a nervous Arsenal team…. You are correct, Pete. QPR beat Wigan at Loftus Road. But could you honestly say they deserved to do so?